If you are going to deposit Rs. 2 lakh in your account right now, then you have cause to worry. Such accounts are going to come under the radar of RBI now. Yes, it was not happening until now, but recently, RBI has sent banks a notice about this new rule. If you are going to deposit this amount in your account, you might come under investigative operations by the Income tax department. Since the government has started its anti black money campaign. It has kept every individual under radar. This means that if anyone is doing black money dealings secretly, he or she may come under the radar. This was earlier for those who deposited over 2.5 lakh rupees. But now this has extended to all individuals who have 2 lakh rupees in their account. The RBI has already told the banks to make a special data report of the individuals who have more than 2 lakh rupees in their account. Such reports are to be handed over to the RBI who will then have to submit any suspicious activity to the income tax department. But what is the current scenario? Banks have been providing information to Indian Financial intelligence unit. If you have more than Rs. 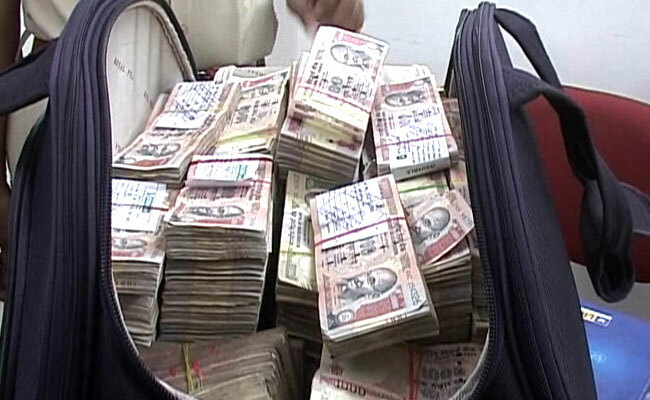 2.5 lakh in cash deposited recently, then you will be questioned and will probably have to face an investigation. There are raids being carried out even in the remotest parts of the country where people are finding bundles of cash in people’s homes. They are caught either being stashed away or being transported across the nation. There have been several bank employees and RBI officials that have recently been suspended or fired for carrying out suspicious activities. They were caught having unauthorized notes. The tier II and III cities have recently come under the radar because these cities have seen an abnormal jump in the deposits. Hence the RBI has asked the banks of these areas to submit a report in these areas. What about those with Rs. 2 lakh in their accounts? Basically the idea is that since people now know that the accounts with Rs. 2.5 or more are being questioned, they have lowered their deposit limit to Rs. 2 lakh. Especially the government fears that the bank accounts which are opened under Jan Dhan Yojana or the no frills or benami accounts are being used to turn stashes of black money into white. This is why the black money hoarders are now depositing a little less than 2.5 lakh rupees in the accounts. Hence, the banks have asked to create a record of this type of accounts. However, the banks have said that compiling such a list might take some time. Right now the central government is trying hard to ensure that the black money that has been rendered useless by demonetization, does not find its way back into the country’s economy. To do this, first the amounts that are being converted into white money must be caught. This is the sole reason the list of all the account holders with over 2 lakh rupees is being created. Now you have to ensure that if you have Rs. 2 lakh or more in your account, you are taking care of this by having a PAN card. By having a PAN card you ensure that all your dealings are accounted for.